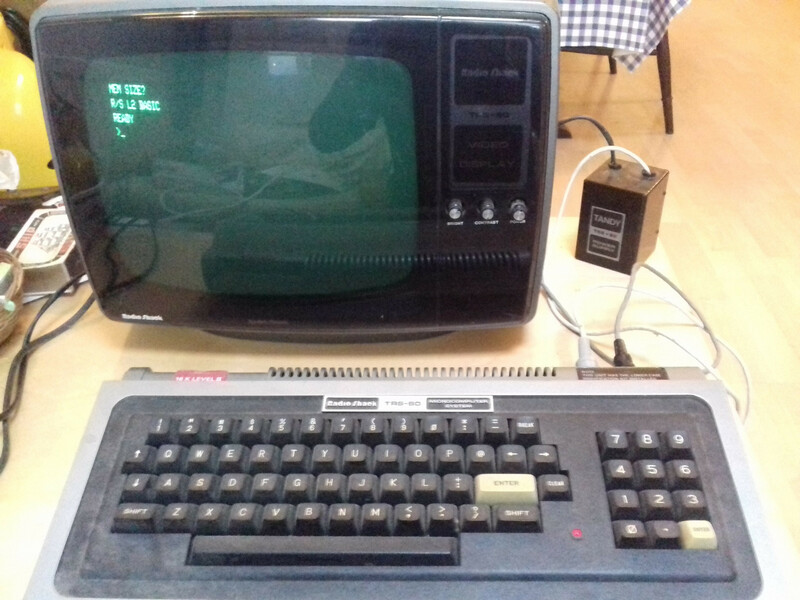 Is it safe to turn on a 40-year old TRS-80? My father is a retired programmer. When I was in high school in the late 1970s, he purchased a TRS-80 model 1 (on which I learned to program in BASIC). At some point in the early 1980s it, together with various accessories, was put in a box and stored in an attic crawlspace for 25+ years. When my parents moved from that house several years ago, my father gave this to me since he knew I was interested in the history of computers. I would like to refurbish it if possible. But, is it even safe to power it up without first checking the circuitry? The crawlspace was exposed to temperature extremes ranging from near-freezing in the winter to above 100 degrees Fahrenheit in the summer. It hasn't been powered up for maybe 35 years. I'm afraid that if I plug it in and turn it on, a degraded component could cause a short-circuit which will fry the electronics. Is my fear baseless? If not, how would I go about safely refurbishing it? It definitely does not hurt to open the case and have a look at the PCB. When opening, be especially careful with the keyboard ribbon cables - They are apparently known to become very brittle with age and tend to easily break. The main victims of age and heat are electrolytic capacitors which are known to leak or bulge and leak over time, losing their capacity. The two caps on the right are definitively affected and should be exchanged, the others in the picture are seemingly unaffected. Also watch out for electrolyte leaking from the capacitors - another reason to replace them. Some computers (like the Sinclair ZX Spectrum) are known, under certain circumstances, to literally self-destruct when they are affected with that problem. To my knowledge, the TRS-80 does not have that problem. 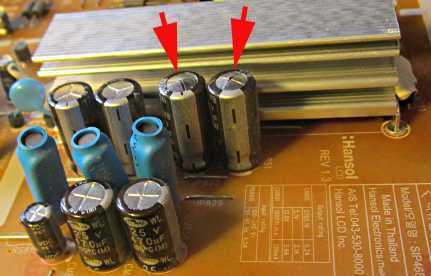 So, in case you don't see any capacitors like in the picture, I would guess it's safe to flip the switch. The TRS-80 didn't have any on-board batteries, I am pretty safe to assume, so that would not be a possible cause of problems. Beyond the above, problems you might have with old computers having been in storage for a long time are rather caused by mechanical than electronic problems. In case you have disk drives, it doesn't hurt to check whether the disks can turn and the R/W heads are not stuck in year-old hardened lubricant (simply try and move them on their rails, a tiny bit of lithium grease doesn't hurt). Also don't forget to check any drive belts you might have for elasticity and eventual damage. Be sure to poke around at http://www.trs-80.com/ if you haven't already - a treasure trove. I did open the case and give it an inspection first - and I also had a fire extinguisher on hand (just in case!) but everything went as smoothly as could be hoped. The build quality is very high - I was concerned about the plastic having become brittle and cracking when I removed the screwed - but they were fine (different length screws in different holes!) The ribbon cable I treated very carefully, but it, too, handled the gentle flexing required to remove the board and test the keyboard connections without issue. Haven't been able to locate the necessary cables to connect a tape drive - although I did find a variety of original tapes, and the original user manual. Worth bearing in mind, it has been kept in a residential space all these years, so no extremes of temperature or humidity, in any direction. So, all in all, forty year old hardware - plugged it in, and it started immediately. I say, having taken the necessary precautions, go for it. I too have an old TRS-80 in the attic, and I wonder the same thing. Last time I powered up a much newer computer that had been off for a couple of years, the power supply exploded with a fizz and some smoke. Probably a large electrolytic capacitor had gone bad. Problem is, these caps need a voltage to form and maintain the insulation layer on the plates. If that layer has broken down (dried out ?) then it will draw a large leakage current, overheat and explode after a few seconds. New electrolytic caps need to be "formed" with a limited current, i.e. through a resistor and not directly from the power plant. See e.g. http://www.qsl.net/g3oou/reform.html . @DaveBoltman There were a few episodes where "very reasonably priced" capacitors made it into the supply chain: Secret docs reveal Dell knew PCs were faulty: likely to hit at least 11.8 million OptiPlex machines shipped to customers between May 2003 and July 2005 How a stolen capacitor formula ended up costing Dell $300m. Money quote: "People want Western quality at Chinese prices, Well, you can't have both." The above advice is very good. I'd like to add a few general putpose work methods which will help with any other vintage electronics. My uncle and I recently looked at an old ray-tube oscilloscope he bought in the 60's, which had a faulty op-amp on the trace-auto. Start by checking the capacitors and wiring, and anything else that looks like it's suffered age-related damage. I've got some circuits at home (not from a TRS-80) where the copper traces have started to corrode under the varnish around the ground pins where a battery was. Check everything visually with the cover off, and be systematic. Start at the top left corner and work across and then down towards the bottom right. inspect every component for signs of bulging on capacitors or any heat-related discolouration. Also check around the parts themselves; hot components often discolour the board, which is assuming the parts were on the way out last time it was powered. Next flip the board over and look at the soldering. It should be bright and shiny, although it does go dull with age; you're looking for a uniform dullness/oxide layer on the solder joints. If any of them have gone black and crusty looking then replace them. The solder from that vintage is likely lead based, which tends to last a bit longer than modern lead free solder, but check for dry solder joints; the solder must be well adhered to both the board trace and the pin of the components. Also check the traces around the joint; sometimes flux residue from the solder can attack the copper traces on the boards. If in doubt, remove the old solder with a soldering iron and vacuum gun and resolder with lead solder if you can still get it where you live. Clean the flux off the board as well. Another good place to check is anything with any weight to it; parts attached to heat sinks which might have been jarred loose by knocking/dropping. For a good 'belt and braces' approach, grab a schematic off the net like those here and start probing out each connection with a multi-meter in continuity mode first, to check for opens/shorts where there shouldn't be any. You can also often put the multimeter in diode test mode to check most transistors and gates. This video explains the method better than I can. Finally once you're confident everything's nominal, you can power it up. If it doesn't work, start checking the components around the power supply first; fuses, decoupling capacitors etc. Work your way up to the power rails on the chips. The schematics and an oscilloscope will be of use here. That makes it almost 50 years old. After you open it, Check for any worn out wires or cables(as mentioned by @tofro) and copper tracks on the mainboard. You don't want them to touch and short the circuit when you turn the power on. That may damage your precious vintage machine. When you check the components, check for disconnected solder joints. Sometimes your machine is working but this causes it not to turn on. If the case is plastic, it may break easily after aforementioned temperature changes.